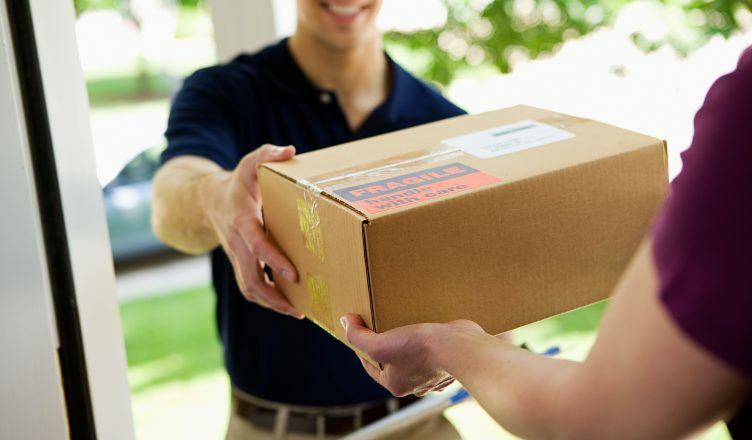 How do you ensure timely package deliveries? How do you know what your drivers are doing on the road? How do you control the fuel expenses? Many courier businesses do not have straight answers to these questions. They follow the old-school, ill-defined process and do everything on their own. How will the packages be moved from your warehouse? How will the drivers be assigned? How will you ensure it reaches the customers on time so they are satisfied? How will you handle customer disputes? Figure out if you should follow the same process or need to make a change. This would also ensure that you don’t need to engage in tedious operational tasks. This is because everything will be at your fingertips. So, you can focus on what matters most to your business: growth. But, which tools should you use to organize your package deliveries in a foolproof way? In which areas can those tools help you with? How can it strengthen your process? We answer all these questions in this article. So, read on to learn more. The very first tool you need to go for is a parcel tracking software. It’ll ensure that the customers can find all the information about their parcel on their own. They will thus not end up calling or showing up every other day to ask for status reports. It offers greater accountability and transparency, which are beneficial for the sender and receiver. It helps you give a definite answer about a parcel’s status to the customers. So, you need not speculate and this will boost your credibility. It gives the customers peace of mind. They can track the whereabouts of their parcels with a unique tracking number. So, they don’t need to worry about the package disappearing into a void. It helps resolve customer disputes easily. The customer can check online who received the courier on his or her behalf. So, he or she cannot complaint that the courier never arrived. It saves you time and money. You don’t need to hire a customer rep or answer customer questions about a parcel status yourself. There could be times when the intended recipient is unavailable to receive the courier. And, at times, he or she may be otherwise engaged and cannot collect the package. In such cases, a parcel alert system could be immensely helpful. Such a tool informs customers about the expected arrival of their package. This is done via automatic email or text notifications. In this way, they can make themselves available to collect their packages. It cuts down on the package handling time and helps you save money. It makes it easy to retrieve packages, using the recipient name and delivery date. It increases communication and your customers will know you ensure packages don’t get lost. It reduces the time a package waits in the office. A customer signature as proof of delivery is a must, as it avoids customer disputes. Yet, many still use pen and paper to capture these signatures. Something that is written on paper cannot be valuable if it is lost. Imagine the following scenario. Your courier driver visits 50 customers and gets each customer’s signature. But, while coming back to the depot, he misplaces one. How would you get that data back? What if that customer complaint about the parcel not being delivered on time? How would you resolve the issue? After all, you don’t have proof. And, it’s not just about data loss. If your driver visits a minimum of 50 customers a day, it’s over 1,000 customers a month. If you had to find data about a specific delivery, would you be able to do that quickly? Being a manager or a business owner, you cannot afford to spend hours searching for data! A common alternative to the manual method is a typical hardware-based signature capturing device. But, that’s not a complete solution either. Such devices are expensive and your drivers need to carry it with them to collect signatures. And, if it is damaged, you need to replace, which could be an additional expense. Yet, you can easily solve these problems if you go for an eSignature capturing device. A mobile enabled signature capturing system helps your drivers collect signatures in the field. They can then upload them to the office within minutes. This also ensures that you don’t need to store any paperwork physically. Your customers simply need to sign on the driver’s smartphone screen. That’s it! You can even print a copy of the signed document from the database when needed. Such devices eliminate paperwork and you thus don’t need to pay for the pens and papers. It also offers digital archiving. So, you don’t need to store the signed forms in file cabinets, which could be expensive. And, most importantly, it nullifies the need to buy pricey hardware-based signature capturing devices. Your drivers can also capture the location, time, and date that a signature is captured. This will help you avoid disputes if a customer complains about not getting the delivery on time. This is because all the data needed to prove that it was punctual will be at your fingertips. Yet, there are many other benefits of an eSignature app. This related article will help you learn more about it. Clearly, an eSignature app is the way forward, if you’re serious about customer satisfaction. And if you plan to go for this, then it’s best to use a routing optimization software app with such a feature. You might plan well-optimized routes for your drivers, but how do you ensure that they follow it? Doing any number of other tasks that are unrelated to work. Such activities could lead to low productivity and delays in package deliveries. And, they could ultimately annoy your customers, which may be fatal for your business. Your driver might even speed up when they’re behind schedule. This could eat up a lot of gas, resulting in increased fuel expenses. Moreover, if they speed up in a densely-populated area, it could lead to legal hassles. Also, what if a vehicle breaks down in the middle of the road, especially in a remote area? How will you know about the incident immediately? You will thus be unable to send a repair team or make alternative arrangements quickly. You can easily avoid all these problems if you have GPS tracking in place. It can track vehicles in real time. So, you’ll be able to ask the driver immediately to slow down and keep to the speed limit. It helps your drivers avoid excessive idling. You will immediately know about any vehicle that is idling for a long period. It protects your vehicles from theft. It notifies you in real time when any vehicle is used after hours. And, if it is stolen, GPS tracking will help you learn about every detail of its whereabouts. It improves customer service, as you’ll be on top of every driver’s activities. This will help you ensure that no deadline is missed. There are many other reasons why you cannot ignore GPS tracking. The following is a related article that explains this in detail. So, a fleet route planning software with a GPS tracking feature is the way to go! This is especially true for managing your drivers better without reducing customer satisfaction. But, make sure the delivery software offers a free trial. In that way, you can see whether it’s a perfect fit before making any significant investments. Also, see how long they have been in the business and whether there are any hidden fees. Many courier businesses still plan routes manually. That’s the biggest mistake they can make. They invest a lot of time in planning a route with pen and paper and sharing it with the drivers. This eats up many productive hours. Moreover, they still can’t ensure the route is optimized and 100% accurate. The task becomes even more tedious when there are more drivers and routes to cover. If you only have a few clients in your local vicinity, then managing them may be easy. But, what if they are spread across the whole city and suburbs? Also, what if there are numerous addresses in an unfamiliar part of town? How would you know which address to reach first so every address can be reached without delays? And, what if the driver needs to visit 20 locations per route? Would it be simple to arrange the order in which he or she should visit the addresses? You can’t accurately estimate the time it will take for the driver to drive between the locations. You can’t see the addresses on a map when you use a spreadsheet. Your routes could be messy if you’re inexperienced in planning routes for an area. 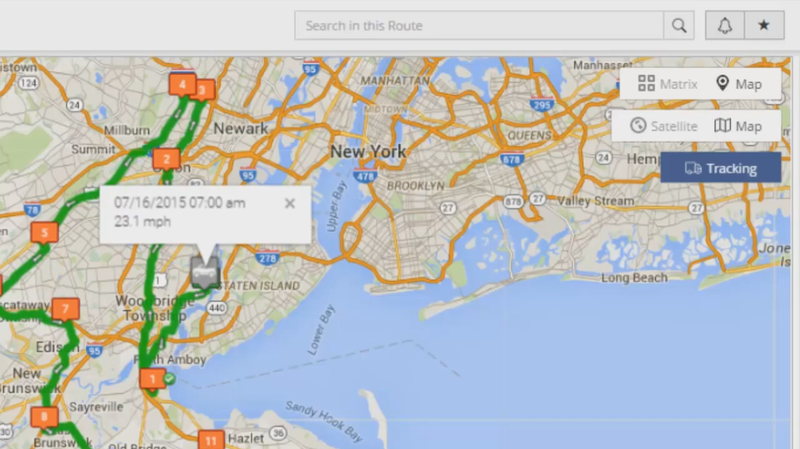 If you don’t plan accurate and optimized routes, the drivers might circle the same places. This will lead to increased fuel usage. You cannot ensure that the drivers don’t drive down under-construction or one-way roads. If the routes are not well-optimized, the drivers would need to work longer to meet the targets. This will lead to hefty overtime fees and thus increased payroll expenses. But, you can avoid these issues by using a route optimization software. It’ll help you create a 100% accurate and optimized route within minutes. 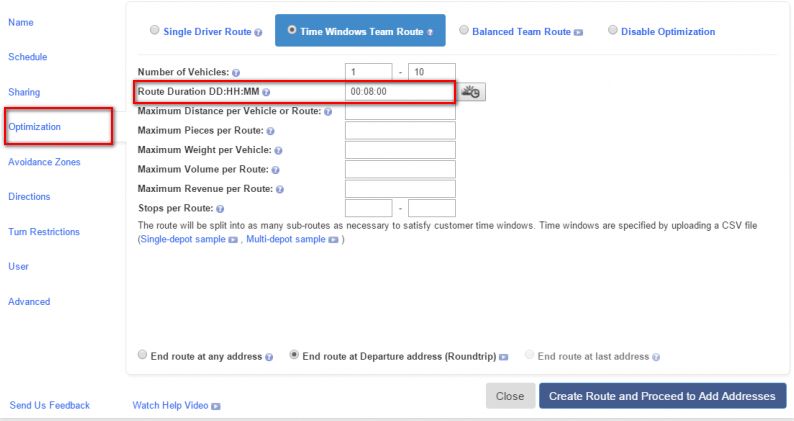 You can even automatically plan routes for multiple drivers at once. Just add the addresses and the route scheduling software will do the complex calculations for you. It will then let you know which driver should deliver the package. It also helps you deal with same-day deliveries. This is because you’ll be aware of every driver’s activities. You can thus send the closest and most available one to the customer and make him or her happy. Moreover, SaaS planning and routing software is just the cherry on top. With it, you don’t need to download anything on your local system. You can even plan and distribute routes from anywhere and at any time from a mobile device. It helps you manage a geographically-dispersed team easily. This is because it comes with a tracking feature that helps you locate your drivers. It also helps you communicate with them in real time easily. It comes with time zone and international language support. So, you can always view and share the information in your preferred language. It offers a dashboard with powerful search options. This will help you identify any specific information quickly and easily. It’s scalable and can even handle an unlimited number of drivers and routes. However, this depends on the provider. Most importantly, it might not cost you a penny. It’s better than a GPS, as it gets updated automatically. Also, you don’t need to put any effort into updating it regularly. Moreover, it’s not signal-dependent. So, it’ll work in every area, including on roads surrounded by high-rise buildings. It speeds up the route planning process. It comes with a ready-to-use mode which helps you get started with immediately. It automatically backs up all your data. So, you never need to worry about data loss again. It comes with geofencing technology. This ensures that the drivers don’t need to check in and check out at a client’s location. This will be done automatically. It helps you plan routes while factoring in many constraints, such as weight and time windows. It comes with a comprehensive and advanced reporting and analytics feature. This helps you identify where you need to improve. It helps you comply with regulations and rules, such as the Hours or Service (HOS) rule. This is a rule of the Federal Motor Carrier Safety Administration (FMCSA). So, it comes with an option that helps you set the HOS for specific drivers. This will ensure that they don’t exceed the eight hours working rule prescribed by the FMCSA. So, when you get so many benefits, can you afford not to use direct store delivery software? But, there are many routing software available. So, to choose the best one, read the following related article. This will help you select the right one. You use spreadsheets to manage your inventory. But, you can nullify such issues easily with inventory management software. It can simplify the process of stock management and tracking to improve your efficiency. It can even cut down on expenses. It helps you stay up to date about where your inventory is. You’ll be able to track your inventory precisely, even if it’s en route to your warehouse. It helps you predict your future capacity requirements. It’s scalable, as it ensures growth without adding a significant system or hardware expenses. It helps you identify and track various issues that might arise. Through analytics and reporting, it offers guidance regarding the factors impacting quality. It saves you time and money. You don’t need to put any effort into inventory recount to ensure your records are accurate. It increases customer satisfaction. This is because it helps you meet the customer demand by offering them couriers as soon as they need them. The details about the package. Ideally, the responsibility for smooth transactions goes to the dispatcher or operations manager. Many courier companies used or still use a chalkboard or whiteboard to do this. This is a time-consuming, manual process and no longer effective. So, you need a tool that can streamline the entire dispatch management process. This is where dispatch software comes in. It makes the process more efficient and effective. It automates the decision-making process. 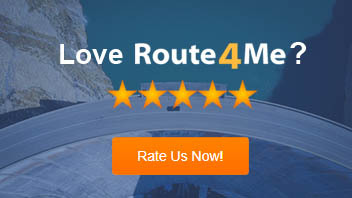 It offers real-time route optimization. This enables the dispatch managers to respond to any changes immediately. He or she can thus minimize delays and improve the service level. It decreases the fuel expenses and general overheads. It improves your courier drivers’ independence in the field. This allows them more time for tasks and improves the customer experience. It has the ability to track the time on a site and job completion, which reduces liability exposure. So, how do you organize your package deliveries? Do you have any tips to share? Please feel free to leave your comments below, we’d love to hear from you.